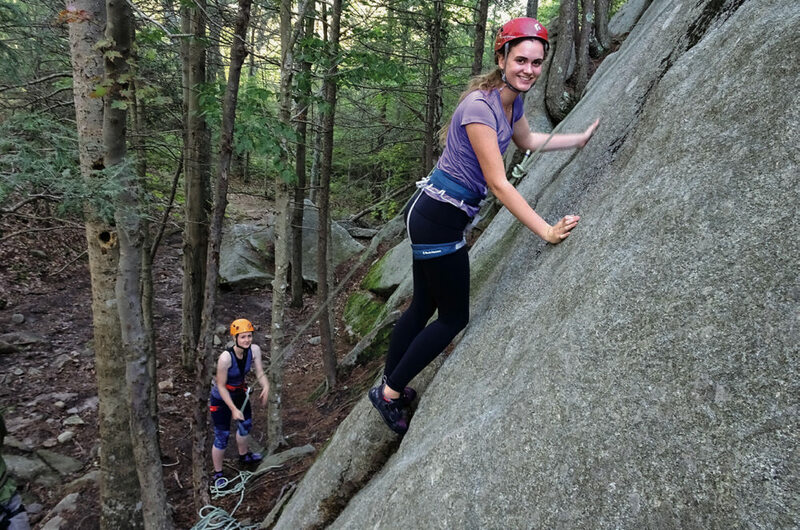 You don’t have to go Free Solo to enjoy outdoor rock climbing near Boston. From bouldering to traditional and sport climbing, diverse routes challenge anyone, from novices to advanced athletes, according to Harvard Mountaineering Club president Vladislav Sevostianov ’19. 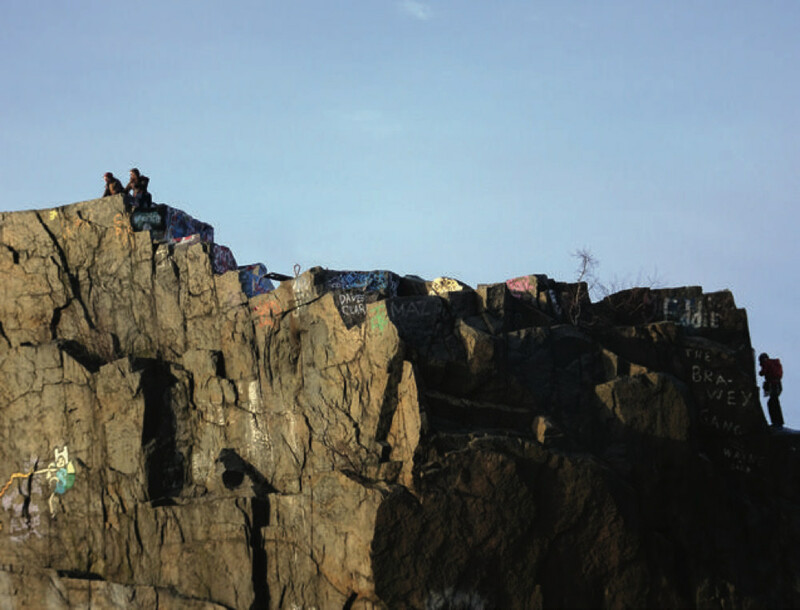 South of Boston, the former granite quarries in Quincy offer about 100 climbs, some as high as 80 feet, with scenic views, as well as great bouldering. 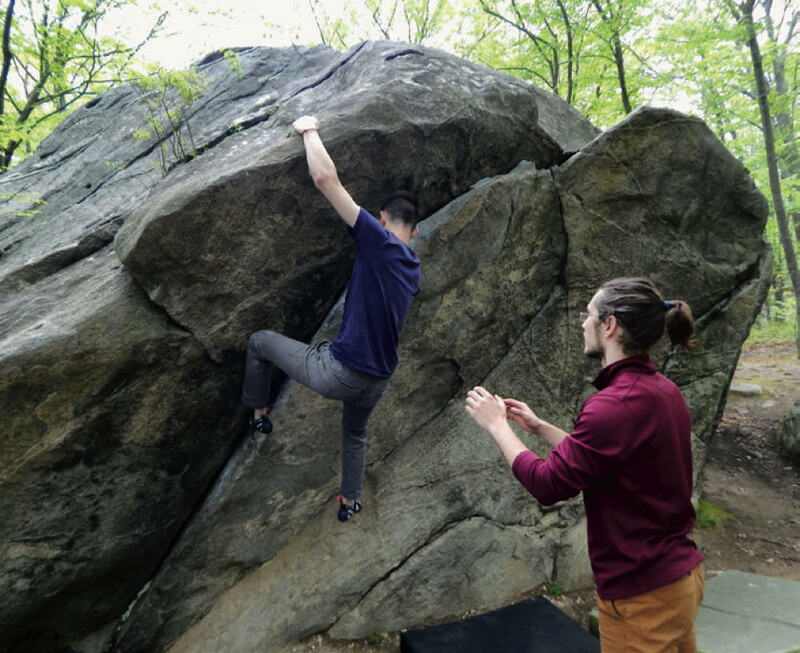 Unlike sport and “trad” climbing, which require ropes and anchors, bouldering is a free-hand activity involving horizontal and vertical acrobatic maneuvering along rocks up to 20 feet off the ground, Sevostianov explains. Prepare for weekend crowds in Quincy, or head to the fewer trad and sport routes at Rattlesnake Rocks, in the Braintree section of the Blue Hills Reservation. Or, for hundreds of unique bouldering scrambles, go to Lincoln Woods State Park, north of Providence, Rhode Island: clusters of rock are scattered amid hiking trails, picnic areas, and a swimming pond. One of Sevostianov’s favorite spots is the Red Rocks Conservation Area, in Gloucester. The trad and sport routes, and a few for top-roping—when climbers ascend the rock using a rope they have already secured at the top—center around a wall with a vertical crack known as “The Zipper,” he reports. There are also plenty of enjoyable “slabby” routes: easier clambering across rocks at lower, non-vertical angles that relies more heavily on one’s balance, foot strength, and traction. Eat lunch with views of Gloucester Harbor from the Red Rocks cliff top, or end the day at Captain Dusty’s Ice Cream, in nearby Manchester-by-the-Sea. 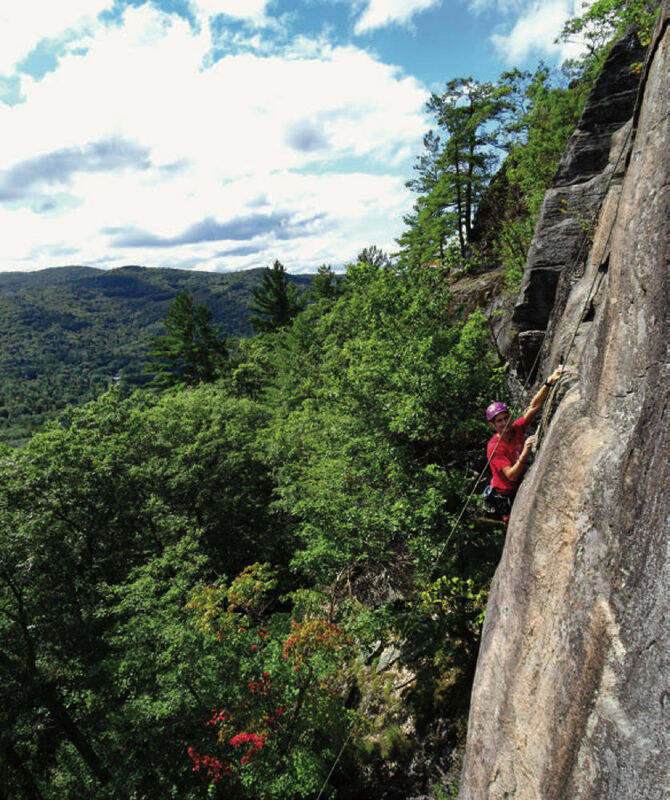 Sevostianov also recommends Hopkinton’s College Rock Park: the eponymous rock is 35 feet high with alternate front and back routes, offering one of the easiest ascents around. Or, he adds, try the Crow Hill Ledges in Leominster State Forest, off Route 2. After tackling towering hunks of gneiss there, climbers can cool off in Crow Hill Pond.